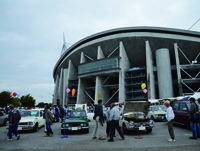 「NAGOYA CLASSIC CAR MEETING」is old cars event in Toyota city where is famous car city in the world that many people knows. But not only Toyotas car. Our concept is "Enjoy together with family" Please enjoy with everyone.